Derek Bauer is a trial lawyer with a concentration on healthcare and media litigation, and regularly handles high-profile and complex commercial litigation matters involving healthcare regulatory, real estate, media and First Amendment issues. Derek is currently President of the Federal Bar Association, Atlanta Chapter. 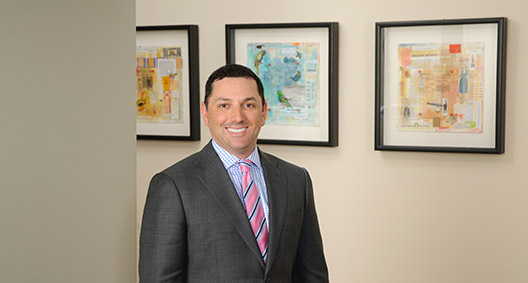 As the Chair of the firm’s National Health Care Litigation Team of more than 30 litigators, Derek helps hospital systems, physician practices, imaging providers, pharmacies and other provider-side entities resolve their commercial and regulatory disputes. Derek also helps news media, entertainment and other content providers protect their and the public’s freedom to access, create and receive information, including defending print and broadcast defamation and privacy claims and ensuring news media rights of access and protection of confidential sources. Derek is general counsel for the Georgia Association of Broadcasters. Counsel for medical device implant benefit management company in multiple successful arbitrations to recover millions of dollars in payments owed by national payors. Counsel for Tegna and 11Alive News in successful motion to unseal the autopsy report of Bobbi Kristina Brown in connection with investigative news report regarding epidemic heroin use among young adults in metro Atlanta. Appellate counsel for Carey Lohrenz, the Navy’s first female combat fighter pilot, in reversal of trademark and trade dress infringement jury verdict. Corps Group v Afterburner, Inc., 335 Ga. App. 138 (2015). Counsel for hospital system in recovery of more than $2 million in hospital payments owed by four of the largest managed care payors in the U.S. Counsel for four nonprofit hospital systems obtaining dismissal of class action litigation in state and federal courts challenging uninsured billing practices. E.g., Satterfield v. Southern Regional Health System, Inc., 280 Ga. App. 584 (2006). Lead counsel for a multicampus hospital system in obtaining a complete defense jury verdict and attorneys' fees award of more than $367,000 at trial of alleged breaches of two commercial leases. Counsel for plaintiff hospital system obtaining summary judgment in 2010 federal trademark infringement and cybersquatting action involving use of unregistered mark in a domain name. Lead counsel for hospital system in recovery of high value outlier claim payment from union health and welfare fund under ERISA, including award of more than $223,000 in litigation fees and costs. DeKalb Medical Center, Inc. v. Specialties & Paper Products Union No. 527 Health and Welfare Fund, 2015 WL 4231774 (N.D. Ga. 2015). Co-counsel for John and (the late) Patsy Ramsey in successfully defeating defamation lawsuits accusing the couple of murdering their daughter, JonBenet Ramsey. Wolf v. Ramsey, 253 F. Supp.2d 1323 (N.D. Ga. 2003). Lead trial and appellate counsel for Hustler magazine in a right of publicity claim arising from publication of a news article and images of the late Nancy Benoit, a well-known professional wrestler and victim of a highly publicized murder in 2007. Co-counsel for the plaintiff in a civil lawsuit asserting a claim for sexual battery against NBA star Kobe Bryant in federal court in Colorado in 2004. Counsel for WXIA-TV (11Alive), WGCL-TV (CBS 46) and WAGA-TV (FOX 5) on a successful motion to secure media rights to broadcast and stream live the entirety of the murder trial of Hemy Neuman. Counsel for Viacom, Inc., and Black Entertainment Television in obtaining summary judgment on a libel claim brought by rapper JT Money arising from news reports of his alleged involvement in a 2007 shooting at Club Opera in Atlanta, Georgia. Counsel for VH1 in obtaining summary judgment on claim for defamacast arising from broadcast episodes of the reality show Love and Hip Hop Atlanta.